Goole Labs' In Quotes allows you to compare national leaders' quotes. Google, the almighty power that they are, is always working on new ideas to help us out. To test them, they place it in the labs so that we can use it, give feedback on our experience, and, in the end, decide if that idea should stick around and become a full-fledged Google application. However, you should know that these tools are just a prototype so they may not work as well as you would hope and actually may not stick around. Although if you love Google as much as I do, I would strongly urge you poke around in the labs and take a look at some of the things they are working on. Use them, and tell them whats wrong or right. A big majority of people who use the computer and Internet regularly use some sort of tool that Google has to offer. Since we are the ones that ultimately use them, why not be part of the development process and make it work better for you? Google has done it again by giving us a way to directly compare the words of many of our national leaders on popular issues like abortion, energy and social security. When you head on over to http://code.google.com/labs/, you are greeted by two of our national leaders and their own separate quotes on several topics. From there, you can change, add or remove any issue that you would like and then choose which people you want to compare. Quite simple, right? You are even able to view more quotes from someone on a single topic by pressing the 'spin' button. (Google, of course, makes it fun to click things by not using boring phrases like 'click'). 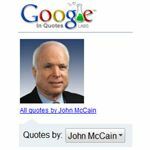 With each quote, you are provided information which, in true Google style, were pulled directly from articles in Google News, including the date and where it came from. Even better, you can also choose different editions like U.S, U.K, India or Canada, where you get the views of the people from each country and the issues that are most important to that specific region. 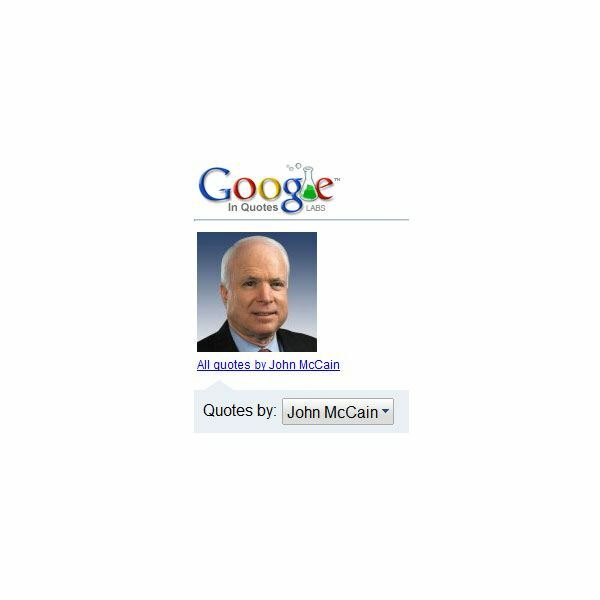 Google is known for the mission to organize and make it possible to search the information of the world, which they did yet again with this. However, what I find more appealing about this is that for many people, especially members of the younger generation that are allowed to vote, you now have another tool to figure out where each of the presidential candidates stand on specific issues. When a new president is here, you still can use this tool to find out what is going on in our country and what our national leaders are saying about it. Many people are not informed enough on today's hot topic issues; now, they really don't have an excuse. Thanks Google! Next up is Google Audio Indexing. What is it, what will it do for me, and why is it such a big deal? Find out in the next article of the series: Google Labs. 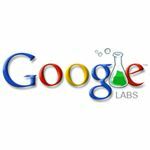 Google labs has produced such tools as Google Desktop, Google Reader and GOOG-411. What are those guys sitting on giant rubber balls sipping free gourmet coffee up to now?